Just a quick reminder that our office will be closed for the holidays starting tomorrow. We will reopen on Thursday, January 2nd. 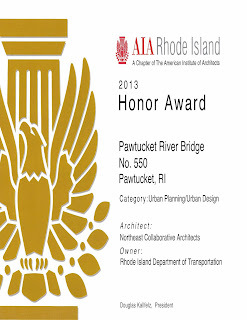 Pawtucket Bridge wins AIA Rhode Island Honor Award! 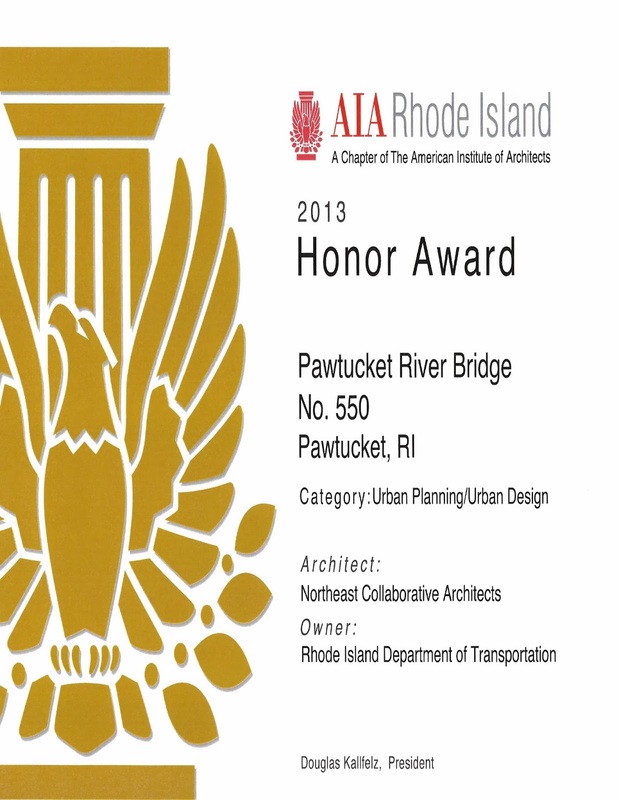 ALD is proud to announce that the Pawtucket Bridge project has won a 2013 AIA Honor Award in Urban Planning/Urban Design. 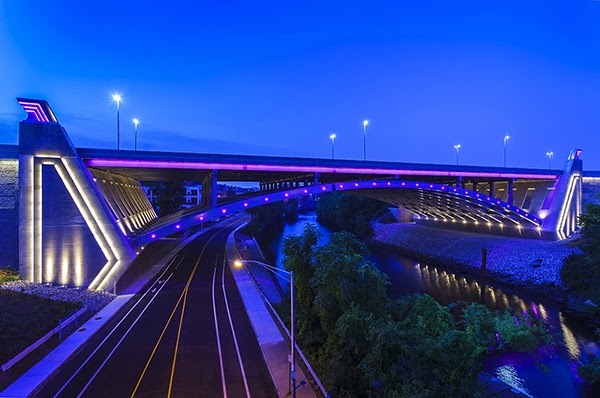 We are very happy to have worked with Richard Ventrone, the Northeast Collaborative and the Rhode Island Department of Transportation on such a successful public improvement project. AIA Rhode Island (the Rhode Island chapter of the American Institute of Architects) is an organization of architectural design professionals dedicated to enhancing the quality of our built environment, and thereby the quality of life. The Chapter endeavors to bring together and serve all who are interested in the art and science of architecture. To learn more about the AIA, check out their website. The Countown to Christmas has begun! 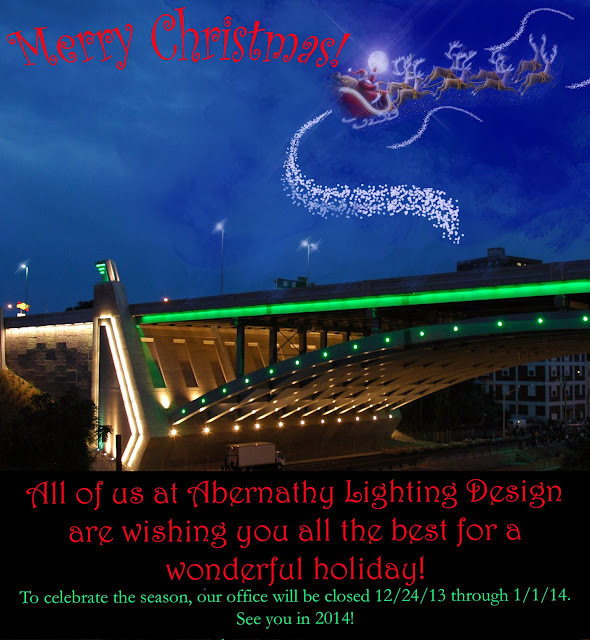 Now that December has arrived, ALD is looking forward to the holiday season and our annual e-card! If you have not received a card from us in the past and you'd like to be on our email list... please email us at info@abernathylightdesign.com to sign up! For this holiday season, we are taking a look at some of our Christmases past... Check out this Youtube video we found of ALD's lighting for the Paramount's Kings Island Winterfest in 2005. Only 22 days left to Christmas 2013!